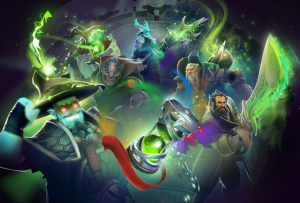 Valve has disqualified a Dota 2 team from its upcoming The International 2018 for using a programmable gaming mouse. In doing so, Thunder Predator used an “unfair advantage”, so says contest organiser FACEIT, during the South America qualifiers, which prevents them progressing to August’s $15 million competition. 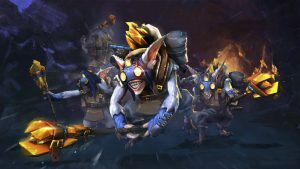 As reported by Motherboard, Thunder Predator’s AtuuN is said to have selected Meepo a Geomancer, who is billed as “one of the hardest carries in the game to play effectively due to his heavy reliance on micromanagement.” Meepo can create clones of himself, and when each clone teleports, they deal damage in the surrounding area. And while this cloning method can be a powerful means of offence, said micromanagement means each clone must be instructed individually. Under pressure like, say, during a tournament this routine isn’t easy. Motherboard links to this YouTube clip of AtuuN effortlessly directing Meepo clones around the map during the third game. 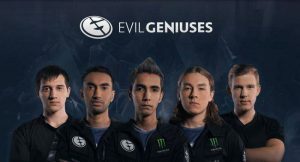 This caught the attention of the Dota 2 subreddit, who in turn accused AtuuN of leveraging a software macro a process that lets players roll complex button combos into fewer/single clicks. Combat logs (see above) showed that AtuuN teleported Meepo clones at the exact same time. This process would normally take players several seconds they’d otherwise need to instruct each Meepo individually but Thunder Predator denied using macros. 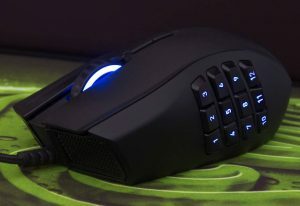 It did, however, concede that a programmable mouse may be at fault a Razer Synapse 3.